This week on The House, did the 2019 budget hit the mark? Host Chris Hall talks to Finance Minister Bill Morneau and gets reaction from various stakeholders. Morneau's budget speech was interrupted by opposition calls for Jody Wilson-Raybould to speak about the SNC-Lavalin affair, and we speak with one Liberal MP who agrees — sort of. Prime Minister Justin Trudeau and Finance Minister Bill Morneau are out selling their pre-election budget to the country — but they're also using the opportunity to blast Doug Ford's government in Ontario as obstructionist and committed to faulty economic logic. At a Thursday funding announcement in Mississauga, Ont., Trudeau directly called out the Ford government for what he called its sluggish response to an offer of federal infrastructure funding. 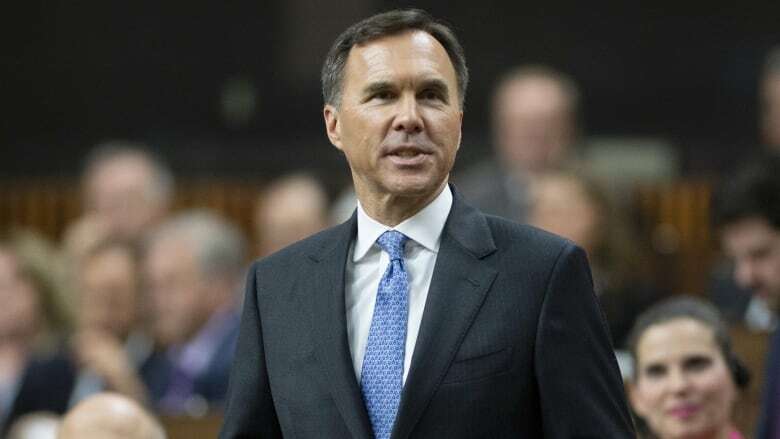 "Austerity in cuts," doesn't benefit Canadians, Morneau told The House when asked how the federal Liberals felt about being pitted against the Ford government. He added he thinks federal and provincial Conservatives are completely off-base with their fiscal plans. It wasn't just Ontario. Morneau called out the broader Conservative Party for being rigid about balanced books, saying there are times when running a deficit is the right call. "The Conservatives — and I will make that a larger Conservative, because it includes Andrew Scheer in his government arguing that we should do the exact same thing they were proposing in 2015 — so why should we think that their results would be any different than what they left us with," he said, taking a shot at former prime minister Stephen Harper's funding cuts when he was in office. Harper's last budget left Canada with a surplus of a $1.9 billion. The latest numbers from the budget show the country's debt current sits at $14.9 billion. The Liberals also promised when elected in 2015 that the budget would be balanced by this year. Among the highlights in the 2019 federal budget are measures targeting first-time home buyers, skilled workers and post-secondary students. The budget's plan for first-time home buyers has the Canada Mortgage and Housing Corp. buying a 10 per cent stake in the purchased house, reducing the size of the mortgage for cash-strapped new owners. 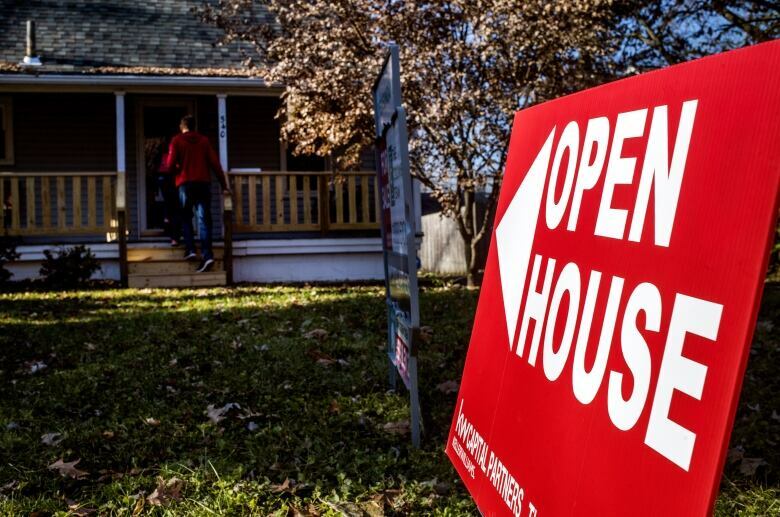 The full details of the plan won't be unveiled until later this year, but Craig Wright, Royal Bank of Canada's chief economist, said the plan might not help home buyers. "It'll put some upward pressure on prices which will actually work against home ownership rates because affordability will become more of a challenge," he said. In the long term more focus shouldn't be on making housing more affordable but making affordable housing more available, Wright said. "You get down to the provinces and municipalities and that's where much of the supply would come from. So I think more the focus has to be done at the provincial and municipal level," he said. But the budget's broadest benefit is aimed at workers. All employed Canadians between the ages of 25 and 64 are to get $250 each year toward job-related training, up to a maximum of $5,000 over a lifetime. That money is supposed to pay half the cost of fees for training to upgrade job skills. "This is a game changer in my view," said Canadian Labour Congress president Hassan Yussuf. "Most employers across this country are not putting enough money to train their own employees and for the first time I think we've got a significant commitment … that training is now a right in this country," he said. As for students going to university or college, the budget is promising to lower the interest rate on Canada Student Loans and and will be interest-free for six months after graduation. But a significant boost for students, according to Paul Davidson, president of Universities Canada, is the commitment to work placement programs. The budget dedicates $630 million over five years to expand the student workplace program into fields such as the arts, humanities and social sciences. Not only will it benefit students, Davidson said, but employers love it as well. "Philosophy students are in great demand right now as we think about the implications of artificial intelligence. How do you design new programs new software and artificial intelligence solutions that have an ethical framework and have a basis that will reflect the values of Canadian society?" he said. The SNC-Lavalin affair has lead to many questions. But one that the government is looking to have answered is should the role of the attorney general be separated from the role of justice minister? In countries like the U.K., the roles are separated, but in Canada they are combined. 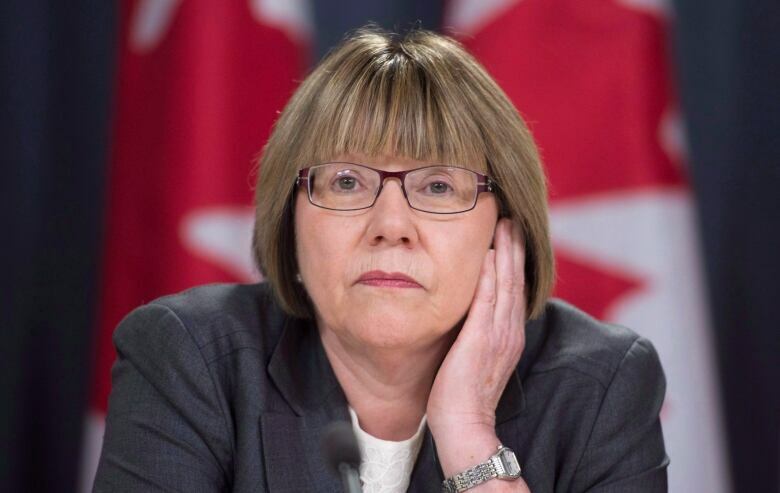 On Monday, Trudeau appointed former Liberal cabinet minister and deputy prime minister Anne McLellan to examine if that should change. "I think people — and I having both roles for almost five years — would say there is a complexity, there is an an inherent tension in having one person play both roles," McLellan told host Chris Hall. But she said the current affair is not having an influence on her research. "I am taking the emotion out of this," she said. "I am looking at this in the context of what are the experiences of other jurisdictions. What is the experience here at home?" McLellan said she plans to invite all former attorneys general — both Conservative and Liberal — to speak on their experiences. Although McLellan isn't giving much thought to the SNC-Lavalin affair, longtime Liberal MP Judy Sgro is calling on Jody Wilson-Raybould and Jane Philpott to use their parliamentary privilege to say anything they want about the ongoing controversy. 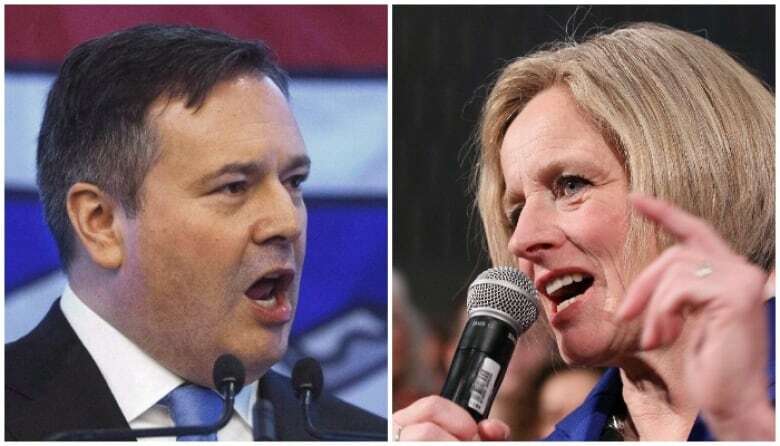 Albertans will be going to the polls on April 16 after Premier Rachel Notley called the election earlier this week. But after unseating a Progressive Conservative government that had been in power for 44 years, the polls are indicating that the governing NDP might be on the way out after only one term. Former Alberta MP and interim leader of the federal Conservatives Rona Ambrose said she thinks there is a lot of anger and calls for change in the province. "The anger is directed at a number of things. It's directed at the Trudeau government it's directed at the Notley government, it's directed at the Horgan government that's next door in British Columbia," she said. "Whether that's deserved or not I think the [Alberta] NDP is going to bear the brunt of that anger." The United Conservative Party (UCP) — created out of a merger between the Conservatives and Wildrose parties — is currently leading in the polls. But there is an ongoing RCMP investigation into allegations of "irregular political contributions" to a former UCP leadership candidate — Jeff Callaway — with alleged connections to Jason Kenney's successful leadership campaign. The allegations suggest that Kenney's campaign worked with Callaway's campaign to undermine Kenney's main opponent, former Wildrose leader Brian Jean. While the allegations have provided fodder for the NDP to target Kenney, he has denied those allegations and Ambrose thinks voters will believe her former federal cabinet colleague. "I think people are willing to give Jason Kenney the benefit of the doubt," she said.